Jared Unzipped: The International Baby Exchange. The idea I'm about to toss out is a wild one, admittedly. Some of you might even be offended by what I'm about to say. That being said, understand this: my concept is not one based in malice or cruelty. I attempted to write an emotionally-sensitive preamble to this article, but everything I came up with simply didn't work. Instead, I decided to just be blunt and lay it all out there. Sometimes, people have babies they either don't want or can't care for. Imagine a scenario where a woman gives birth to a child she doesn't necessarily want, completely for superficial reasons. It's the wrong gender or skin color, for example. What if she could place that baby with an International Baby Exchange to trade for another recently born child? 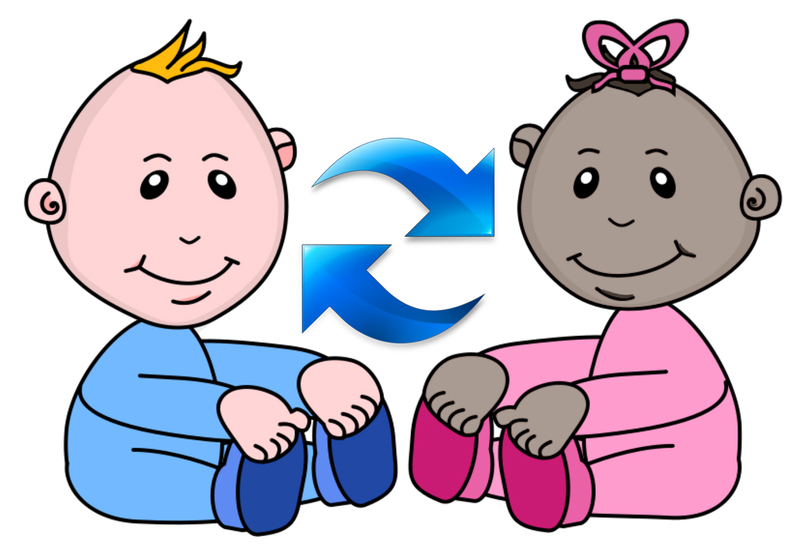 An even swap, one baby for another. The possibilities are endless! A child born in Canada could be swapped with one born in Chile. A French baby for a Chinese baby. An Icelandic baby for a Turkish baby. The potential combinations could only be limited by the number of participants involved. Obviously, the sooner a child could be added to the exchange, the better. The less a parent becomes attached to their offspring, the easier the trade will be. There's no going back on a trade! Alternatively, what if a woman has an unexpected or unplanned pregnancy, but doesn't want to abort the fetus? This situation would work much the same way as the aforementioned, but instead of trading one baby for another, the child would be swapped for something of monetary value. Obviously, this system could be exploited by the slave trade, so potential participants would have to be thoroughly vetted. Their items of value would have to be held by a third party clearinghouse to verify legitimacy. Once all concerns were satisfied, a child could be traded for an automobile, a piece of land, or college tuition. Sure, the child is reduced to a piece of living currency, but if the biological parent is unable to care for the child, then it becomes a win-win scenario. What has the traded child lost besides an unwilling or incapable parent (and gained a loving parent in the process)? This is what I consider making the best of a bad situation. At this point, you think I'm probably nuts... but this idea goes one step farther. Genetic diversity in any species is important for its survival. Pockets of any species lacking genetic diversity, whether humans, elephants or antelopes, develop terrible health problems. By swapping children across all parts of the globe, we'd be introducing new human genetics into a region to better its breeding pool. The more a species cross-breeds with diverse participants, the better their overall genetic structure can become. Just look at mixed-breed dogs -- they usually live longer and are healthier than their pure breed counterparts. Why? Because their genetics possess less inter-breeding, which promotes faulty biological traits if carried on for generations. So there you have it. 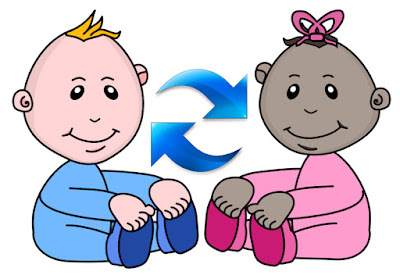 An International Baby Exchange that would satisfy many problems with a simple solution. Obviously, such a platform would be controversial. It raises any number of ethical concerns, but it's a debate we can and should be having anyway. What are you thoughts? Please share them!